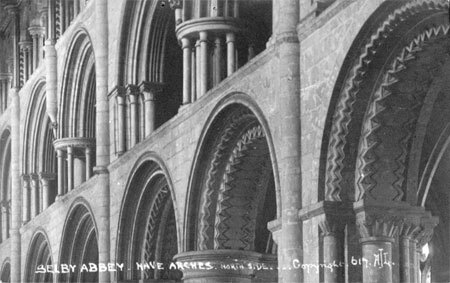 Selby is a small Yorkshire town, 12 miles south of York with one of the most impressive abbey churches found in England. 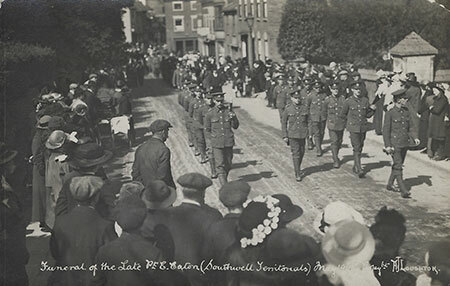 Most of these old historical photographs are numbered, the external shots are 995, 1327, 1328, 1329, 1330 & 1331 and the internal photographs are 617, 661, 1335 & 619. 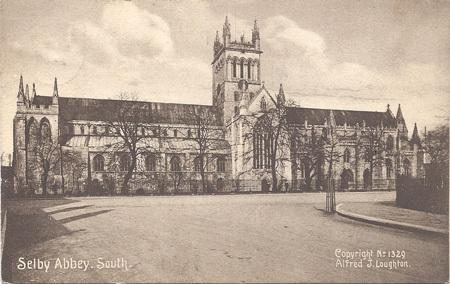 This may imply that Alfred visited Selby Abbey on at least two occasions. 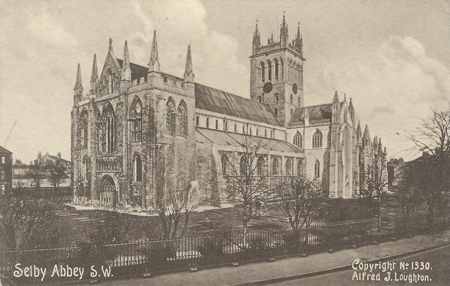 Labelled on the back as a callotype. 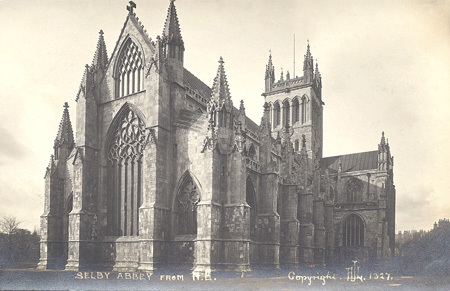 An external shot of Selby Abbey taken from the north east. 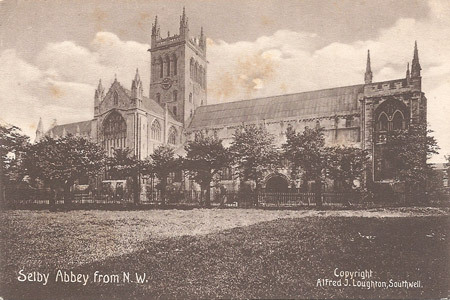 An external shot of Selby Abbey taken from the south east. 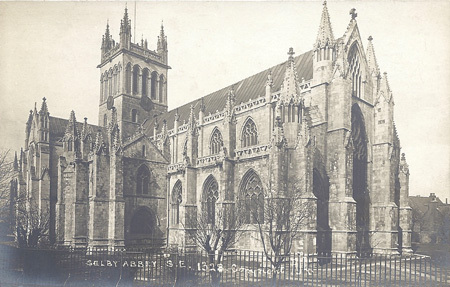 An external shot of Selby Abbey taken from the south. 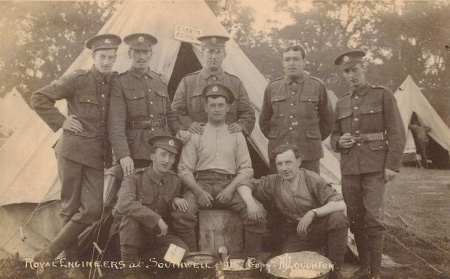 This image has been scanned from a postcard posted on 24th July 1917 in Bubwith to Mrs Robinson, Salisbury Street, Hessle. 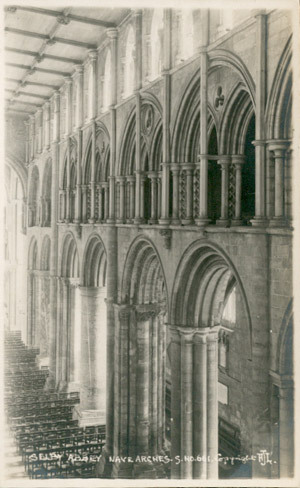 Selby Abbey Nave arches north. 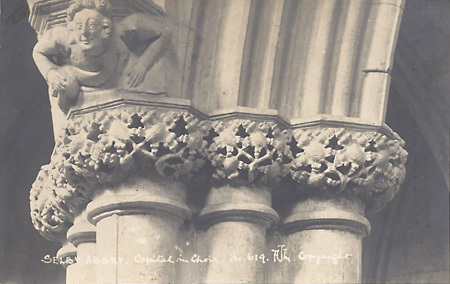 A close up of on of the capitals in the Nave. 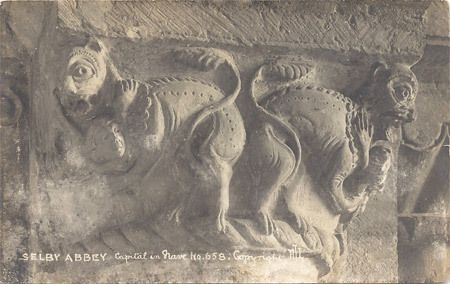 Detail shot of one of the capitals found in the Selby Abbey choir. 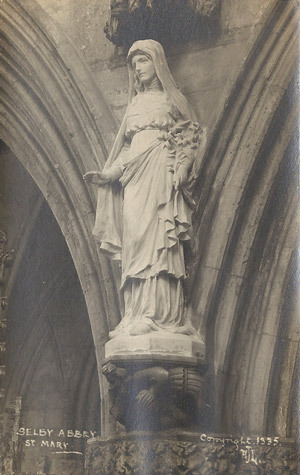 A well lit shot of St. Mary's statue. 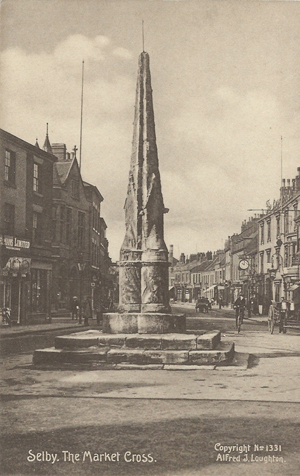 Google street view of the same scene. 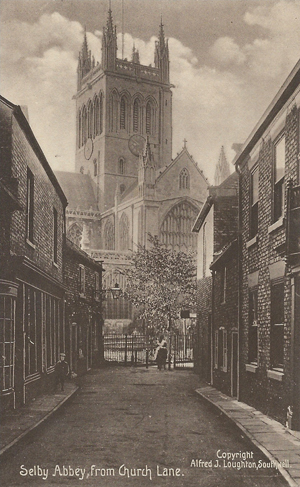 Selby Abbey shot from the South West. 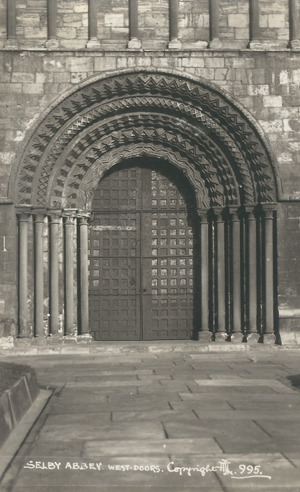 The West Doors of Selby Abbey. 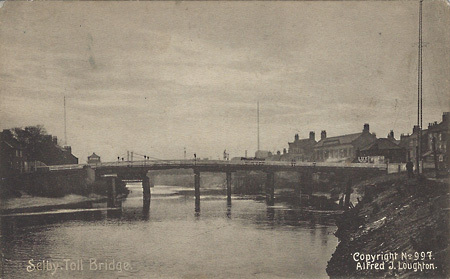 The toll bridge over the river Ouse. 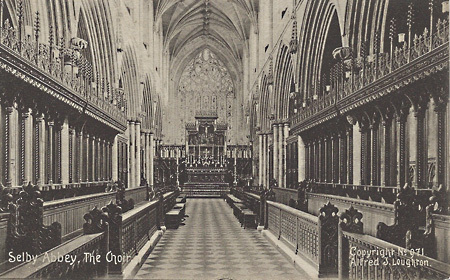 The choir of Selby Abbey, look east towards the alter.